Blue light is much more common in our environment than it ever has been. It’s affecting your eyes right now as you read this on your computer screen or device. I’m not going to tell you it’s all bad. In fact, sunshine has been providing our eyeballs and brain with a source of blue light since the very beginning of time. The problem is that our brains are still very much attuned to natural rhythms of dark and light. When bright sunlight hits the backs of our retinas first thing in the morning, it actually helps us wake up. Melatonin production is turned off and cortisol production begins. 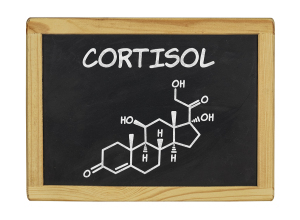 Cortisol should be at its highest levels first thing in the morning. Throughout the day, cortisol levels will gradually decline, with the lowest levels occurring just after dark. 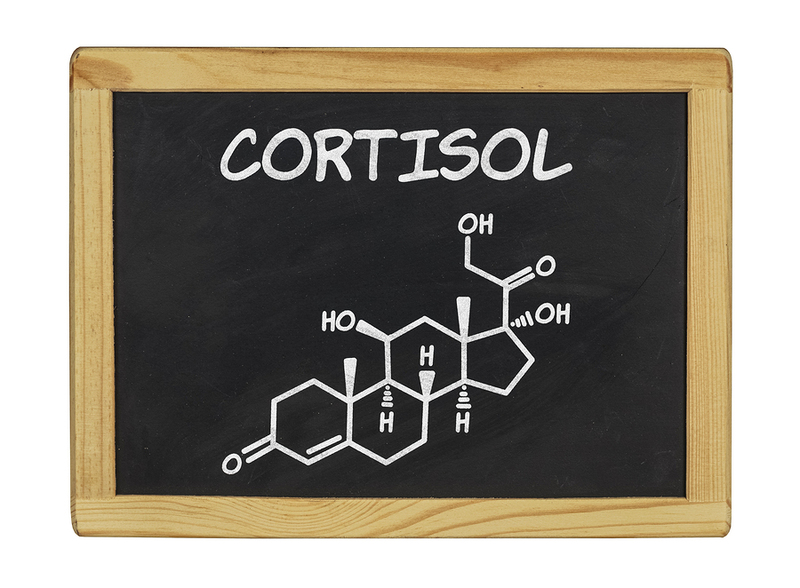 Since cortisol is antagonistic to melatonin, it is extremely important that this occurs. People who have trouble falling asleep at night, especially if they feel their minds are too ‘busy’ to fall asleep, often have cortisol levels that are too high in the evenings. This often happens due to stress, but it also occurs because of all the stimulatory blue light we expose our eyes and brains to at night! In the evenings and after dark, the bright, blue wavelength light fades away in favor of the orange wavelengths. Without the blue wavelengths stimulating the pineal gland and the rest of the mesencephalon (the top part of your brainstem), cortisol production decreases and melatonin production proceeds. 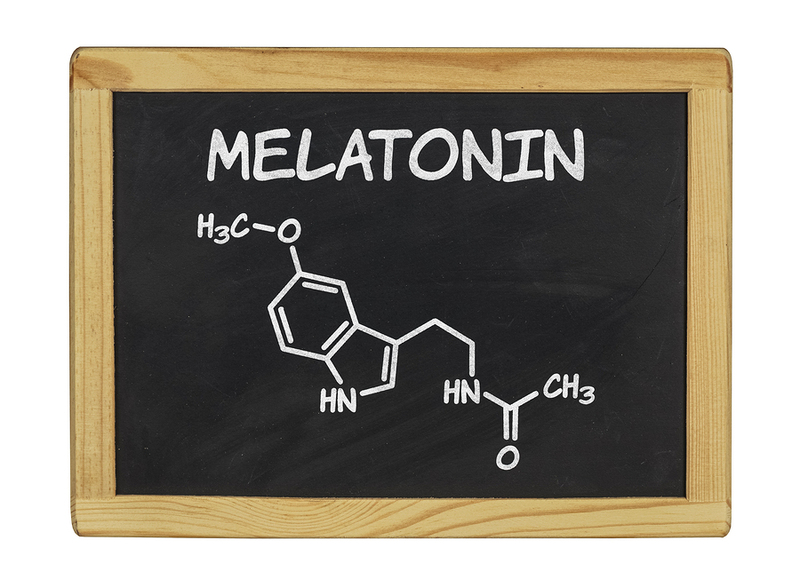 What’s interesting to note is that melatonin may do more than just help us sleep. There is research that suggests it has cancer-fighting properties; that one of the important things that happens while we sleep is immunosurveillance for precancerous and cancerous cells. In this study, women who worked at night had an elevated risk of breast cancer. 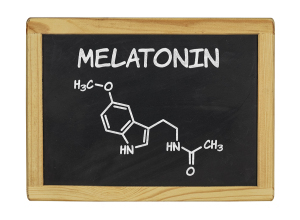 Here, it was associated with an increase incidence of colorectal cancers (see citation 12-17 in this last article for physiological mechanisms of melatonin’s anti-cancer properties). So we need to limit our exposure to blue light after sundown, but how? One of the biggest ways is to eliminate the use of electronic devices at night. Smartphones, tablets, and laptops have all become regular interlopers in our evening routines. For purposes of stress reduction as well as melatonin, it would be optimal to not use these device at all after sunset. That may not be reality for most of us though. I use a free program on my laptop called f.lux that determines what time of day it is in my next of the woods and then automatically filters out the blue light from the screen. You have to jailbreak your phone or tablet to use it on those devices and I’m not just not up for doing that, so if I have to use one of those devices, I wear a pair of orange googles that filter the blue light. Rumor has it that the new iOS update (9.3) includes a native blue-light filter function , though my phone is not new enough for me to have tried this personally. One thing I would like to note here- though there are ways to mitigate the harmful effects of blue light exposure at night, that doesn’t mean you can continue using your device at night with impunity. The postures we tend to use when staring at a small screen, as well as the effects to the muscles of our eyes from focusing on a close up object for long periods of time, all take their toll on our bodies and our health as well. For some of us, the stress caused from social media interactions can be detrimental. For these reasons, it would be best not just to mitigate the harmful effects of blue light, but also to be more conscious and aware of our electronic usage in general. You’ll probably find more high quality, fulfilling interactions with the people next to you then the ones on the other side of the electrons. Want to learn more about lifestyle factors may be eroding your health? Interested in working with doc that “gets it” and sees the bigger picture of health? 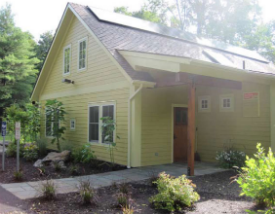 Give my office a call today at 845-687-6387 and see how I can help you. Or sign up for my email list with the link below to get my free report and to receive emails with important information for living your best, healthiest life! Let’s just say, its caused quite a stir. So does this mean that a Paleo or low-carb diet is going to kill you??? No. But there are a few things you should know before eating loads of bacon with impunity. The report stated that 50g of processed meat a day (less than 2 pieces of bacon) caused an increase in colorectal cancer of 18%. What does that 18% increased risk really look like though? Let’s say 6 out of 100 people get bowel cancer in their lifetimes. And all of those 100 people eat an extra 50g of processed meat a day. An 18% increased risk means 7 people will develop develop bowel cancer instead of 6. That’s one extra case of cancer per 100 people eating 50g of processed meat every day. Cancer Research UK put it this way- 21% of bowel cancers can be attributed to processed and red meat consumption whereas 86% of lung cancer can be attributed to tobacco. In the larger context, 19% of all cancers can be attributed to tobacco, whereas just 3% of all cancers can be attributed to red and processed meat. So it would make no sense to stop eating red meat if you’re going to continue to smoke or drink alcohol excessively. There are several mechanisms by which it appears that red & processed meats can cause cancer. (And it should be noted that these mechanisms have NOTHING to do with whether the meat is of the grain-fed, feedlot-raised variety. That is, eating only grass-fed red meat will not protect you from these potential cancer-causing pathways.) One of those pathways is the digestion of the heme protein. Cytotoxic compounds can be created that damage the gut lining and can lead to cell proliferation- and increased cancer risk. Another mechanism is the metabolism of L-carnitine, an amino acid particularly abundant in red meat. Gut bacteria metabolize L-carnitine into a compound called TMA (trimethylamine). TMA crosses into the blood stream, goes to the liver and is metabolized into TMAO (trimethylamine-N-oxide). TMAO is strongly linked to cancer and heart disease. Another potential mechanism are mutagens that can be created when cooking red meat, particularly grilling and frying (heterocyclic amines and polycyclic aromatic hydrocarbons). Chlorophyll (the compound that makes plants green) and heme have almost identical chemical structures. Because of this similarity, chlorophyll can block the metabolism of heme into toxic, gut-destroying compounds allowing it instead to be metabolized to inert (inactive) compounds. Indoles found in cruciferous vegetables like broccoli, kale, cabbage, and cauliflower have been shown to suppress the growth of tumors caused by heterocyclic amines and polycyclic aromatic hydrocarbons. As for the link between L-carnitine and TMAO, that is a little more complex. In turns out that a particular species of gut bacteria, Prevotella, is mostly responsible for increased blood levels of TMAO from L-carnitine consumption, according to a 2013 study published in Nature Medicine. Conversely, gut microbiomoes that have more Bacteroides sp. instead of Prevotella converted significantly less L-carnitine into to TMA and eventually, TMAO. Prevotella specialize in fermenting polysaccharides in grains (but not those in fruits & vegetables), so they appear to predominate in the microbiomes of those with high consumptions of grains. Though we can’t say this conclusively yet, it appears from what we currently know, that eating a grain-free diet and getting most of your fiber from vegetables helps moderate the danger of processed and red meat consumption from this particularly pathway. So I don’t think anyone needs to give up red meat or enjoying bacon from time to time. It comes back to the same, basic, intuitive advice: eat a variety of foods (mix in white meats & fish in for protein sources) and make sure to get at least 5 servings of vegetables a day. That means that there should be veggies on your plate at every meal. I encourage folks to think of building their plates around 4 ounce of animal protein (about 1/3 of their plate) and to fill in the other two-thirds of plate with vegetables. Not only is it a simple way of creating a meal, but it helps ensure that you get the healthiest balance of animal to plant foods. For further reading check out here and here.